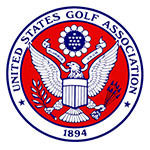 SOUTHAMPTON, NY (June 4, 2018) - U.S. Open Sectional qualifiers will be held Monday around the country with 860 players (including over 200 amateurs) competing over 36 holes for 77 spots into the championship at Shinnecock Hills Golf Club. AmateurGolf.com takes a closer look at each of the eleven qualifying sites, with the key professionals and amateurs to watch on one of the more grueling and competitive days of the year. Sean Knapp, Mark Lawrence, Jr.
Sectional qualifying for the U.S. Open Championship. Played at various sites across the U.S. on the Monday a week and half before the U.S. Open. There is also a qualifier in Japan and in England. 36 holes of stroke play at each site.